Watch videos, read blog posts, follow us on social media & more. Making its world premiere, Paramodernities deconstructs iconic works from choreographers such as Alvin Ailey, Martha Graham, and Bob Fosse while performing them alongside scholarly contributions. In the video above, go behind the lens with Festival Photographer Christopher Duggan and collaborators of Paramodernities #3 in a photo shoot inspired by John Lindquist's images of Alvin Ailey taken at the Pillow in 1961—both sets of images are on display in the Doris Duke Theatre lobby. Deep dive into the iconic work that inspired Paramodernities in this Pillow Pick, explore more in an interview with Netta herself, and get your ticket today! 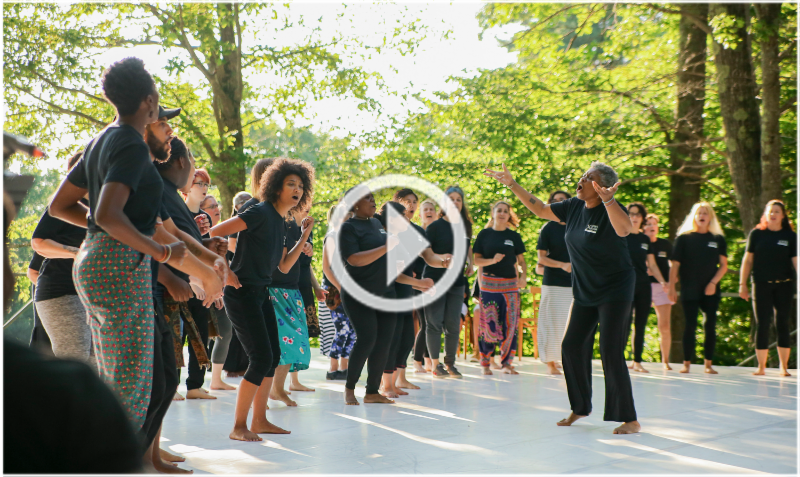 We were thrilled to welcome Berkshire community members to the Inside/Out stage for a collaborative performance created as part of the year-long project, Pittsfield Moves! See the culmination of hours of community workshops and rehearsals with Angela's Pulse/ Pittsfield Moves! Team come to fruition in a beautiful performance of original choreography and spoken word. Plus, check out upcoming events here. 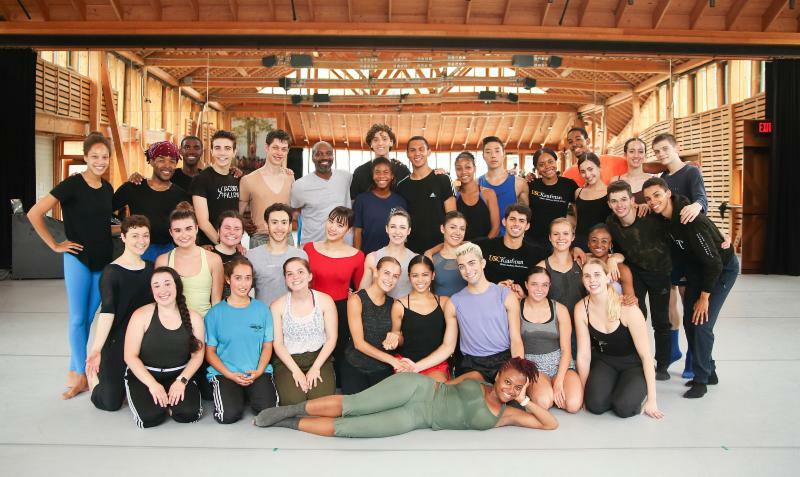 After three weeks of intense studies in the Perles Family Studio, our Contemporary Program dancers departed with newfound insight and growth in their technique and artistry. We are excited to welcome another group of talented dancers into our Alumni community. During their time the dancers studied with esteemed artists such as Ronald K. Brown (seen above), Cayetano Soto, Didy Veldman, and many more! Stay up to date on what's happening on The School on our Facebook page.
'" 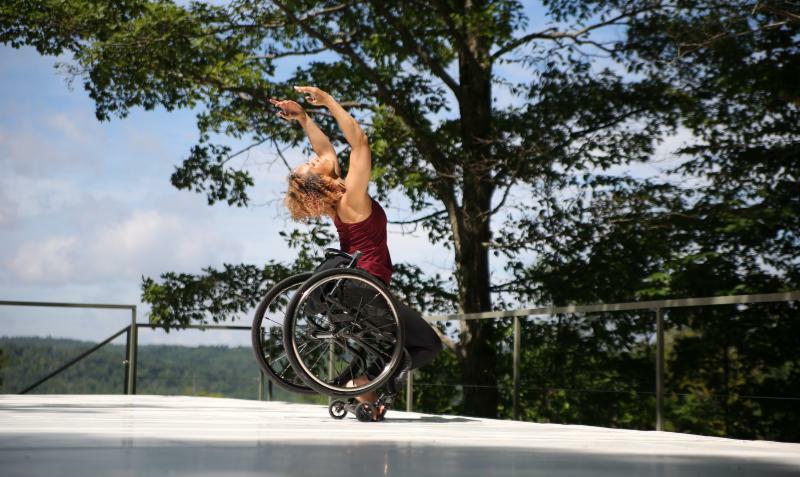 The Pillow has been great in this process,' says Sheppard, who worked closely with Jacob’s Pillow and its production team to coordinate the load-in of mini ramps for Kinetic Light’s performance. 'They made this happen."' Read more about this collaboration from Chelsea Zibolsky in Dance Informa .
" The choreographer Netta Yerushalmy has invented a recipe for her latest work, Paramodernities : Take six classic dances. Chop them up. Then tear open the modern canon, with equal parts love and fury," writes Gia Kourlas of The New York Times. Read the full article.
" ...there are these really over-the-top danceoffs and some of the most spectacular scenes on the dance floor that I've ever seen. It's a party that's equally fun if you're in the middle of the dance floor and on the edges as a spectator," says Berkshire-based DJ BFG in The Berkshire Eagle. Read more about Weekend OUT from Danny Jin. 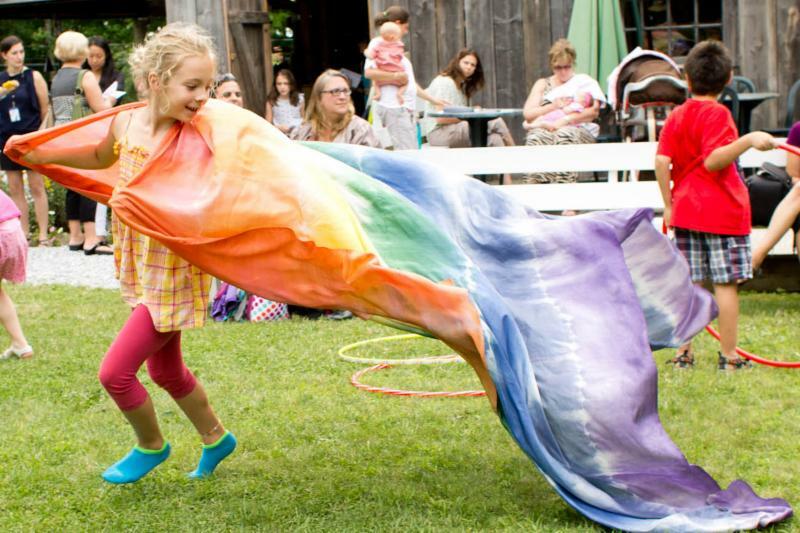 Aug 10 | Enjoy FREE dance games, an outdoor Inside/Out performance, movement and music classes, a special kids’ tour, and more! Aug 12 | Join us for a garden party performance with Leo Sandoval and his Music from the Sole ensemble, celebrating the magic of Jacob's Pillow. 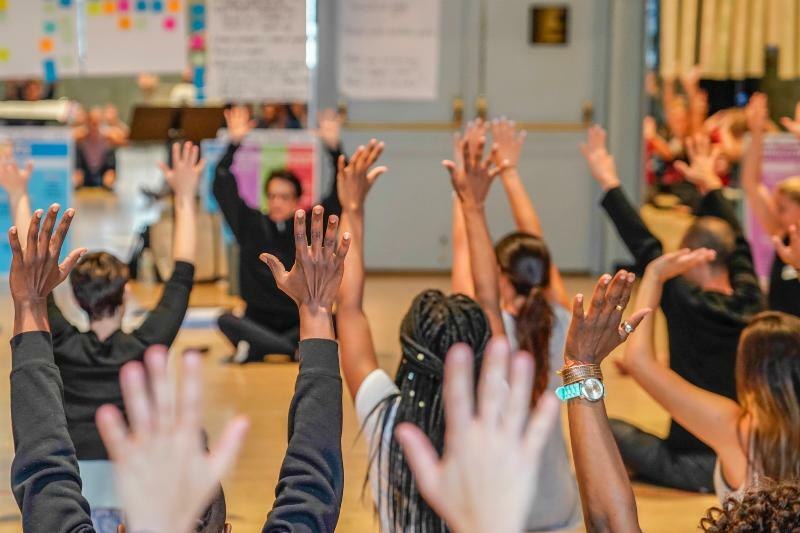 Aug 12 | Experience the DEL model of dance teacher training in this interactive and movement-based introductory workshop! Photo credits: Paramodernities/Revelations ; photo Christopher Duggan; video Hayim Heron. Pittsfield Moves! ; Contemporary Program Dancers; Alice Sheppard; photos Noor Eemaan. Free Fun Friday; photo Em Watson. Tyringham Fete; photo David Dashiell. DEL Essentials; photo John Suhar.